By d0ctrine in Railways on October 9, 2013 .
and it’s GOOD !!! I don’t think that in France I EVER buy anything from a vending machine while waiting for the subway or train but in Japan I know I’ll be looking at all the strange drinks (fav one is milk tea) and buy ekiben to eat in the train…You’ll find regional stuff too that’s really excellent. LIke you showed the machines are really practical -they take bills which for a strange reason seems almost impossible in France!! 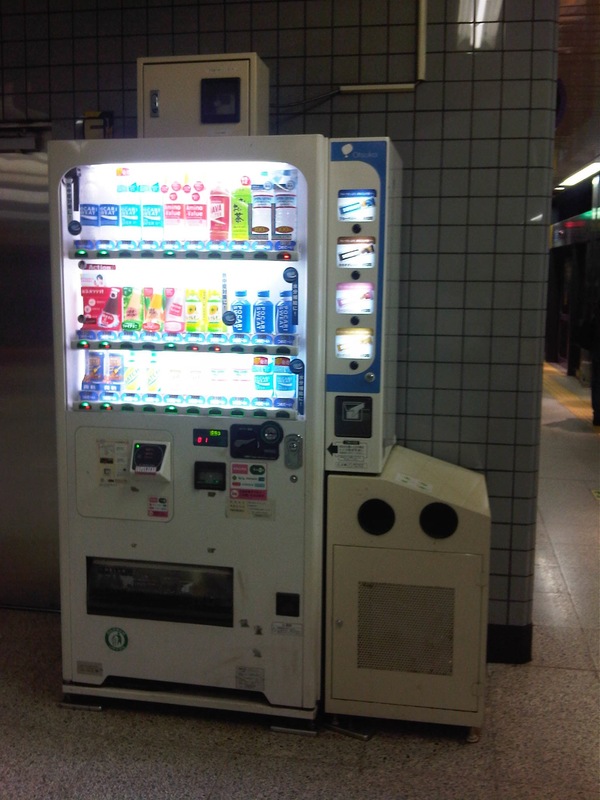 !– they are combined with bins and people use them. A shopper’s paradise ?! There are also newer touch screen machines. I’ll try to get photos of these and post them here.